Thank you so much, Belle, for this nomination. My blog is honored. Please check out her page you will love it. When I write something which matters to me and people react to it, initiate a discussion . Any place that brings them peace. It could even be a walk in the park. Being free of prejudices and judgment. Reading. I find very less time these days to read. None, and as yet no ambitions of writing one. Seeing my family happy and healthy. 1. How long have you been blogging? 2. Do your friends and family support you in this? 3. Which is your favorite time of the day? 4. What would be your dream vacation? 5. What genre of movies you like best? 6. What do you wake up to? 7. Are you a morning person? 9. How do you think your friends see you? 10. What would be your idea for saving the environment from pollution ? 11. Happy or peaceful, what is more important to you? Any blogger reading this, you are my nominee. Congratulations. Please answer the questions, follow the rest of the rules and don’t forget to link back to my post so that I can check it too. Yaasotaa very kindly nominated me for a Mystery Blogger Award a while back. I was intending to reply to her nomination when I got another two nominations so I am combining all the three into one post. Thank you so much, Yaasotaa for thinking of me and awarding this honor to my blog. You can read about her nomination here. I am extremely grateful to be awarded two more nominations for Mystery Bloggers Award, in one day. One is from Msjadeli of Tao-Talk, you can read about it here.and the other one is from Kristian of Tales from the mind of Kristian, which you can read here. Guys I am honored and obliged for this distinction bestowed on my blog. I have decided to combine the three sets of questions in one post. Let’s make life easy! 1. Would you rather lose one of your limbs or lose your ability to speak? Why? My question is why? I know it’s an avoidance to answer a question with a question but why do I need to lose either. I am deeply attached ( pun intended) to all my limbs and have a very profound connection with my ability to speak. So let’s not tempt fate by choosing one over the other! 2. What is one of your favorite books and why? Hmmm, where should I start! There are so many favorites that I cannot pick a single one. I remember growing up on reading Alistair MacLean, Agatha Christie, Georgette Heyer, than discovering Robin Cook, John Grisham, Micheal Crichton and Jeffery Archer. So definitely hard to pick one Author. But one person I can read again and again is P G Woodhouse. Love his sense of humor. 3. What’s the worst crush you ever had on someone and how did it turn out? Sadly I never had a crash on anyone. 4. What’s the scariest thing about you? That I am a planner. It more irritating than scary. My kids are always telling me to take it easy and not to plan so far ahead but I am always planning six months in advance. 5. If you could do your dream job – assume you have the training and you will be hired – what would it be? I wanted to be an engineer, but ended up in the Med school. So now if I think about my dream job, it would be getting paid for what I love doing, that is blogging. Sadly that is not happening, so I am happy blogging away anyway. 6. What would your worst nightmare job be? To be in a job for which I am not qualified. I would also hate the idea of being tied to something I cannot do my best at. 1. Name something you like to see in a book, that makes you want to read further. A well planned storyline with minimal loopholes. I love to read thrillers, and mysteries. That would hook me into reading further. 2.What would make you want to stop reading a book? Inane story, full of loopholes. Too much sap, as in unconnected romance which does not have a place in the story. When I know that the writer has run out of ideas and is just filling pages with drivel. 3.If they produced the story of your life, what genre would it be? It would a comedy of errors! 4.If you could have a plane ticket to anywhere in the world, where would you go? Only a ticket won’t suffice, I need an all expenses paid vacation to Switzerland. 5.What advice would you like to give to your ten-year-old self? Hold strong, this will get easy with time. 1.what is the funniest things think that you have done? My life has been full of comic errors. I tend to act before thinking and have done many unintentional bloopers in my life. I even wrote a post about one of them, If the world is laughing at you, join them. 2.who is your mentor? Why? I admired my father and how he brought us all up. I consider him my mentor and try to act in life according to how he would have wanted me to. I think it is a way to honor his memory. 3.what is the bravest thing you have done? When my elder brother bought a motorcycle, I volunteered to test ride it, without any training. That didn’t end well, but luckily no great injury or harm was done. Only my foolish pride suffered a little. 4.what characteristic that you admire from a friend? I totally admire sincerity. I think the best friend you can get is the one who is sincere. A people pleaser or funny person would be a good friend but the best one would be the one who has your best interest at heart. 5.what is your horoscope. Have you ever get to know more about it? I am a Sagittarius. I do have an interest in horoscopes to the extent that the people of the same star sign share many personality traits. Like, Sagittarians are clumsy people. They have a tendency to fall, break things and commit social blunders. But they are also independent, honest and out spoken people too. 1. I have overcome my inborn personality traits by working hard on them. 2. I enjoy spending time by myself, I read, write or listen to music for hours at end if left to myself. I don’t watch TV anymore and love super hero movie. 3. I cannot tell lies with conviction. I usually blurt out the truth even when I don’t think it would be a wise thing to do. What stimulates your brain to produce its best, a beverage, a muse or anything else? If you are alone in the house and a door slams upstairs with sound of running feet, what are you going to do? Seeing your image in the mirror, what is the predominant thought? What sort of movie you have to go and see, even if the ticket is $100? And there will no Netflix or DVD release! Is climate change theory real or a conspiracy to save the earth? I would like to present this award to the following bloggers. I have chosen five blogs per each of my nomination. Congratulations to all the bloggers. You are being presented with this award free from any preconditions. If anyone feels unable to accept the award, feel free to overlook this. If you want to accept and answer the questions only, that is perfectly fine too. Hope you have fun. I love yellow to look at, not wear as it doesn’t compliments my skin tone. But I love yellow things like the sun, sunflower, rubber ducky. 2. What is best in my blog? 3.Do you have any pets? describe about it? I don’t have pets. I used to have tiny chickens as a kid but they didn’t survive to grow up into bigger chickens. 4. What do you feel when you see the word” love”? I feel that we human should love our environment and save it from destruction. Love each other and spread love. 5. What makes you blogging? I started to blog on an impulse but now it’s become an important part of my day. I love to share my thoughts, my experiences and some creative ideas with my blogging family. If life offered a redo, what part of it will you want to change? Can you remember what was the one thing you hated about school? Growing up, what was your dream profession/job? If you met your English teacher today, what would be her opinion about your blog? Would you rather be the frog prince/ princess or the ugly duckling? Tanya of SaltedCaramel has nominated me for Liebster award. Thanks a lot to Dr Tanya @Salted Caramel for honoring my blog with this award. Please check out her blog and her amazing posts. •	Thank the person who nominated you and put a link to their blog on your blog. •	Display the award on your blog. •	For the Liebster Award 2018, write a small post about what makes you passionate about blogging. •	Provide 10 random facts about yourself (optional). •	Nominate 5 – 11 blogs. •	List these rules in your post. •	Inform the people/blogs that you nominated that they have been nominated for the Liebster award and provide a link for them to your post. •	Create new questions for your nominees to answer. 1. If you were to start your blog over again, what is ONE thing that you would do differently? I would not change a think. I learned from my mistakes and got better. So no change. 2. Do you think that it is essential for a blog to have a specific niche? Depends on what you are writing. If you are going to write about something specific, then you should have a niche. If your writing is encompassing a wide variety of topics, than you don’t need to have a niche. 3. How important are photos/images to your posts? Not very but they do add color and variety to a post. If there is a requirement or a scope to add pictures I do so. Agatha Christie, Archer and Tolkien. 5. Has any particular author/book influenced your style or content? Writer are always influenced by what they read, at least initially. I think my writing style is an amalgamation of all that I read. 6. What changes would you like to make in your life or blog in 2019? In this year, I plan to be more organized in my blogging. Give more time to writing. Time management is the name of the game! 7. What do you prefer, writing or typing? 8. What is your favourite tea or coffee? Any full flavored coffee in the morning, followed by countless cups of decaf coffee through out the day. 9. Share a strategy you use to overcome writer’s block. Go for a long walk, and stop thinking about writing. Something pops into my brain. 10. What is your main source of inspiration for writing? My thoughts on different aspects of life. Life experiences and things going around me. Sometimes I am inspired by other bloggers and the questions they ask. 11. Share a link/links to your favourite blog posts. Life and what it means to me. My questions are the same which are posed by Tanya. are all the bloggers who want to answer these great questions put to me by Tanya. Congratulations. Please link back your posts, if you accept the award, to me. I would love to read your answers. Hope I see a few return posts. Tom of Slumdog Soldier has nominated me for Another Mystery Blogger Award. Thank you so much for this honor to my blog. I appreciate your nomination and recognition very much. Tom is a great blogger and writer , you must visit his blog. 1. I have an eclectic taste in music, however I don’t listen to overly romantic songs. 2. I have a weakness for chocolate. I love all types of chocolates except white chocolate. For me, white chocolate is not a chocolate and is masquerading as one. 3. I get emotional very easily, specially if I am talking about something personal, so much so sometimes that I cannot complete my sentence. 1. What motivates you to continue blogging? The fact that I am enjoying myself immensely here. The writing is fun, I never knew that I can write on so many diverse topics. Then there is the interaction with other bloggers in this world. I feel that I have made lot of friends here and it is fun to meet and chat with friends everyday. 2. Favourite blogging or writing advice? Is blogging taking over your life. In short, write from your heart, about topics that you are passionate about, divide your time between writing and reading and interact with fellow bloggers. 3. What do you hope 2019 will bring for your blog? I hope to continue with my blog in the same trend that I already have, having a variety of topics and attracting more readers to my blog. Hope to get to 500 follows. 4. Do you have a favourite book or film that you never get tired of? I have many books that I read again and again. I love the historical romances of Georgette Heyer. Her writing are full of humor and wit. I think I like her writing so much because these were my first introduction to romance. An overweight, self proclaimed specialist on every subject, disregarding of the societal norms, advice giver. I think I have covered all the aspects of my personality! I think that these are more then four words. What is the best thing about your blog? What is your tag-line and how did you thought of it? How would you encourage new bloggers? How do you manage your time in the blogosphere? If you feel unable to accept the award or have a policy against accepting awards, there is no compulsion to do the award post. It’s your choice. Dr Tanya of Salted Caramel has nominated me for a Liebster Award. Thanks a lot Dr Tanya, I am truly grateful for this honor to my blog. I appreciate the support you and all my blogging family gives me. 1. Acknowledge the blogger that gave it to you and display the award. 2. Answer 11 questions that the blogger gives you. 3. Give 5 (11 is too much) random thoughts about yourself. 4. Nominate 11 blogs and notify them of their nomination. This award exists only on the internet, and is given to bloggers by other bloggers, it is given to discover and encourage new blogs. It has German origins – the word “liebster” has several definitions: dearest, sweetest, kindest, nicest, beloved, lovely, kind, pleasant, etc. 1)What is your biggest pet peeve? My pet peeve nowadays is being asked the same question over and over again! 2)Where did you get the name for your blog? 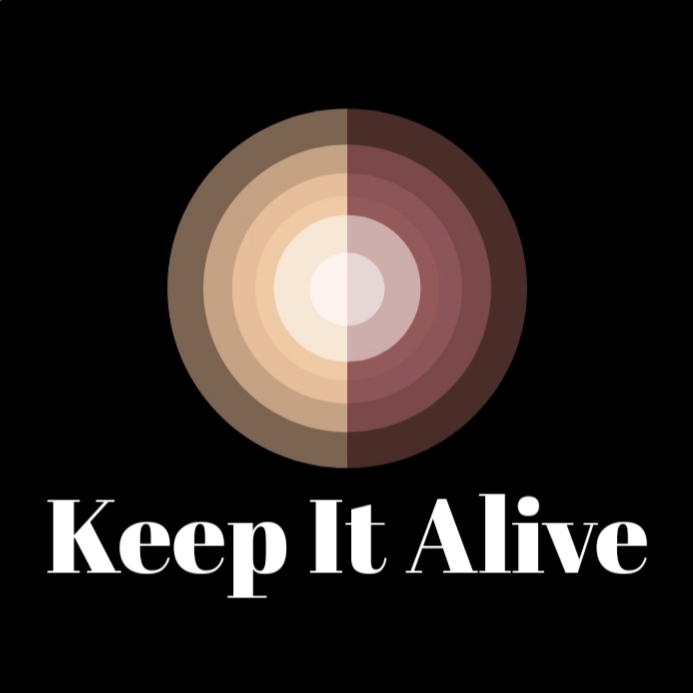 I wanted to stay alive mentally and to keep others in my age bracket, hence the name, Keep it alive! 3)If you could change your blogs name, what would it be? Now I am thinking, Stayin’ Alive, as in the song. 4)What was your favourite show as a kid? It still is, Tom & Jerry Show. 5)Do you have any weird habits? I am not weird at all, and please don’t look in my cupboard for the million boxes of cookies. 6)Do you like fall scents/tastes? Yes. The scent of rainfall, but not the smell of fallen leaves, rotting away and neither that of people burning autumn leaves. 7)What is your favourite holiday and why? A fully paid one! The reasons are obvious. 8)Do you prefer writing it down or typing it up? I am experimenting with talking it out, on the phone. Hope it works out. NBC, ABC, or any other alphabetical network. 10)If money didn’t matter, what would you do with your life? Get liposuction, stomach bypass surgery, face lift …… you get my drift? 11)What is your favourite thing about yourself? That I can be funny, when I need to be, just like now! 1. I love coffee, too much I think. 2. I prefer to eat vegetarian diet but have to consume chicken ( the only meat I can eat) for my diet. 3. Reading is my first love, but now I am finding it hard because of my blog. 4. I find that talking to myself can resolve conflicts in my mind. 5. I like to think of myself as a pragmatic and practical person. All these are new blogs that I have started to follow. Some of them are new bloggers too. Congratulations to you all. The choice to accept this nomination lies within each of you. You can ACCEPT it, and continue PAYING IT FORWARD or to refuse to accept it. I respect your decision either way. What quality you like best in others? What quality you like best in yourself? How important is your blog to you? Do you think that your blogging personality is different from your real life personality? You have won a free vacation, all expense paid. Where will you go? Which is the most played song on your playlist? What is one thing you like best about blogging? Do you think people should do their own thing or conform to the expectations of others? We have been busy destroying the natural environment and polluting it. How would you reverse the situation? What is your ideal Sunday like? Mel of Crushed Caramel has nominated me for my 7th Sunshine Blogger Award. You must check her blog. It is amazing. Thank you so much. I really feel honored to be given this nomination. Thanks again, Mel. •	Thank the person who nominated you and provide a link back to their blog so others can find them. •	Answer the 11 questions asked by the blogger who nominated you. •	Nominate 11 other bloggers and ask them 11 new questions. •	Notify the nominees about it by commenting on one of their blog posts. •	List the rules and display the Sunshine Blogger Award logo on your post and/or your blog site. 1. IF YOU AND I WERE GOING TO DANCE TOGETHER – WHAT SONG WOULD IT BE TO? Clap your hands if you’re happy! I have only confessed to one vice, Ad-vice! You can read about it here! 3. WHAT IS THE MOST UNUSUAL OR MEMORABLE DISH YOU HAVE EVER EATEN? Couscous with olive relish, it was amazing. 4. ARE THERE CHARACTERS FROM ANY MOVIES OR NOVELS THAT YOUR FRIENDS COMPARE YOU TO? 5. ARE THERE ANY QUALITIES YOU ADMIRE IN OTHER PEOPLE AND WISH YOU HAD TO A GREATER EXTENT? Many. I wish I could control my spending urges, I also want to be slim and to be giving. 6. HAVE YOU ANY EXPERIENCE OF ACTING, SPEAKING, SINGING OR DANCING ON A STAGE? As a kid, I used to act in plays, make speeches and also directed a play we were putting on. As a grown up… nothing. 7. APART FROM REMOVING ANY PARTICULAR POLITICIANS, IS THERE ANY ISSUE OR PROBLEM IN THIS WORLD THAT YOU FEEL PASSIONATELY YOU WOULD LIKE TO CHANGE? Countries trying to solve everything by force. I would love to see the ongoing conflicts resolved peacefully. 8. IF I WERE TO MAKE YOU YOUR DREAM CAKE – WHAT WOULD THAT CAKE BE? A sugar free, gluten free chocolate fudge cake. It has to be calorie free, since it will be my ” dream” cake. All conflicts have been resolved in the world and all countries have destroyed their nuclear arsenals. 10. HAVE YOU EVER HAD AN INTERNET ROMANCE OR AN INTERNET CRUSH YOU WERE TO SHY TO CONFESS? I was too old for a crush when internet was invented. 11. YOU ARE ON MY LIST OF NOMINEES BECAUSE YOU CONSISTENTLY MAKE YOUR POSTS INTERESTING, YOU ARE FULL OF PERSONALITY AND YOU SUPPORT THE BLOGGING COMMUNITY SO MUCH – BUT TELL ME, ARE YOU LIKE THIS IN REAL LIFE? I try to be. But I am sure you would be imagining me in your mind in a certain way, and if you see me or meet me it would be totally different. Since the Questions Mel has asked me are very interesting, I am asking my nominees to answer the same. My nominees; Are all of you. Anyone interested in answering these questions is offered the Sunshine Blogger Award. Please feel free to join in the fun. I would like to invite people who are new to blogging world, to join in, answer these questions so that we know a bit more about you. Another nomination by Tom of the Slumdog Soldier for the Sunshine Bloggers Award! • List the rules and display the Sunshine Blogger Award logo on your post and/or your blog site. Thanks a lot Tom, for this nomination. I am honored and truly grateful. Tom is writing a great blog. Please visit and check it out for yourself. I am a citizen of the world. I consider the entire world as my home. 2. Do you think of yourself more as an early bird or night owl? I can be both. Some days I am an early to bed and early to rise person, though I doubt that I gain any wisdom or wealth from it! And there are days that I don’t sleep till wee hours of morning. In both cases I use my time writing my blog. 3. What is your birthstone? I think it’s Topaz, though not sure. 4. What’s your favourite season of the year and why? I love it when seasons change. Those are my favorite times. 5. What’s a favourite quote that’s really inspired you? Cheer up, things can always be worse. 6. If you could choose one fantasy world to visit for a day, which one would it be? 7. How do you like to wind down after a busy day? Curl up on the couch with a decaf coffee and do some blogging, while my husband is sitting next to me binge watching some violent series. I give him company and he gives me company. And we do our own different things ! A taster for a four star vegetarian restaurant. I had no intentions of blogging but a friend of mine started a blog on WordPress and to read her posts I made an account on WordPress. And every time I would open the app it would invite me to start my blog. And one day, in a move that even surprised me, I did start my blog. 10. What have you enjoyed most about blogging so far? I love the fact that I can write what is in my mind and in my heart. Also that people here are so generous and supportive that they make you feel like part of the family, blogging family. 11. Which of your own blog posts would you recommend to new readers first? I am like a mother, I love all my posts for one reason or the other. If you have time, please read all of them. I have one regular post, the one that I have conceived, and written from my heart, almost everyday. Other then that, I do write for daily prompts, but I try to write them with a message in them. If someone paid you to write a blog for them, will you? We have been bust destroying the nature and polluting it. How would you reverse the situation? If your country is invaded by aliens, what would you do? I want to say a couple of things. 2: If any of you are not interested in this award and its accompanying formalities, please feel free to disregard this nomination. I am so grateful to all my blogging family for the continued support. Thanks a lot. If anyone else wants to take up this nomination, please do. I will be very grateful. Monaminga has nominate my blog for another Sunshine Bloggers Award. 5.Ask the bloggers 11 questions of your own. Thanks a lot Monaminga for nominating me for this award. I am truly grateful to you. She is a unique blogger. You should visit her blog. I am sure you will love it. Sorry that it took me a long while to do this blog post. 1. What’s your favorite place in the house, why ? It’s the lounge, I sit, write and relax here. 2. Do you have a pet ? What is it ? If not why ? No pets. Once we had a few chickens as kids but they all died. So no more pets. 3. What is the first thing that you do when you wake up ? Grab my phone and look at all the various notifications. 4. Where do you see yourself in ten years ? Sitting here in my couch and blogging, that is if I am still around. 5. Tell us a joke. I went on a diet and lost all the weight I have gained in the last thirty years, ha ha ha ha! 6. What was the last movie you saw ? How did you like it ? Crimes of Grindelwald! I loved it. Not because it’s a very good movie, but because I love the whole Harry Potter saga! And J K Rowling! 7. What do you think about Woody Allen’s movies ? 8. How do you live your spirituality ? 9. What’s the best advice you’ve been given ? Who gave it to you ? My father used to say, “You can not cross the bridge before you come to it” I try to follow this advice and not worry about a problem before it arises. 10. What / Who are you most grateful for in your life ? Why ? I am grateful for have an excellent man as my father who guided me so well in life till he lived . I am also grateful for my husband who supports me in whatever I am doing in life and my kids, because I love them so much. 11. If you could take only one thing on an isolated island, what would it be ? Why ? My smart phone with all the apps for Kindle, food delivery etc! Which one, do you feel is your best post? How do you get inspiration for writing? If given a choice would you choose traveling by train or ship? Which would you say is the best part of your life? How was life in childhood for you? Are you a coffee person or a tea addict? Food that you cannot resists? What should be the first thing a child be taught? How are you enjoying blogging? What are your ambitions for your blog? As I know from my past experiences, that some of you won’t be able to accept the award. But congratulations to you all. I am hopping that some of you would accept and pay it forward! I am going to write about something, I need to understand and want you to give me your feedback on. My blogging journey is about three months old, give or take a day or two. So I am just a baby in all the affair of this world. The rules are simple but there is something that I cannot fully understand. What are the etiquettes governing the award nominations? I love getting nominated for the various awards. I feel very encouraged and honored to receive an award. For me it is a sign of acceptance and recognition. I very happily accept these awards, thank the person who nominated me and whenever I can manage, I do the required acceptance post, with the Q &A, nomination and any other requirement that it may have. So far so good. The confusion starts when I nominate someone for the award, as I am supposed to do. It has to be around 8-11 people. Not knowing all the rules of this nomination business, I nominated blogs from my limited knowledge of them and waited in anticipation for their responses. And here came the confusion! That was okay, well and good. But how does one know who to nominate and who not to? That is my question today, for which I would appreciate feedback from you all. And I have a feeling that there are more Bloggers like me who are in this quandary. Waiting for you guys to throw some light on the issue. Note; This is a light hearted post. No offense is intended!